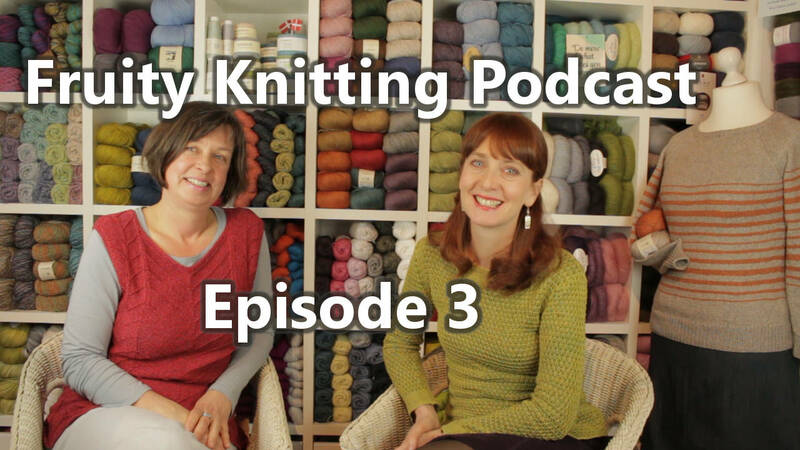 Fruity Knitting Podcast Episode 3 features an interview with Ulrike Janssen of Maschenwahn in Offenbach, Germany, and also takes an in depth look at the relationship between knitters and magpies, and lots more knitting fun. 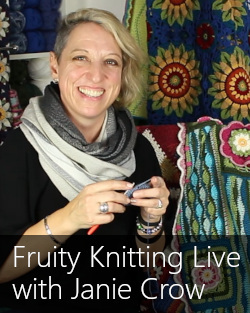 If you enjoy our programs, please support us by subscribing on YouTube and following Fruity Knitting on Instagram. 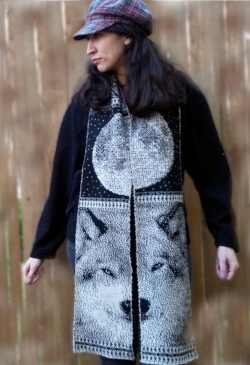 Andrea’s vest was an Australian pattern, but we don’t have any more details! Yarn was an Australian Patons 8-ply 100% wool. The segment “Are Knitters like Australian Magpies” was based on the episode “The colourful life of the Australian Magpie” from the program “Off Track” on Australia’s Radio National. This is a wonderful program looking at diverse range of topics around Australia’s natural environment. Presenter Ann Jones does an amazing job of painting pictures in words, with interviews, commentary and sounds from the field. It’s available as a podcast and is a treat if you have any interest in Australian wildlife. Magpie song recordings were made by Danielle, the Magpieaholic. Danielle seems to have an extraordinary relationship with the magpies in her area, and has some amazing photos and videos. Her site is definitely worth a visit. 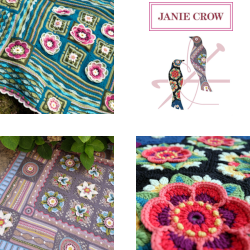 Ulrike Janssen is owner of Maschenwahn – which is German for “stitch-crazy”. You can reach the shop easily from the Frankfurt Airport, by taking the S8 in the direction “Offenbach (Main) Ost” or the S9 in direction Hanau Hbf. Get off at the stop “Ledermuseum”. The trip by train is around 26 minutes from the airport. 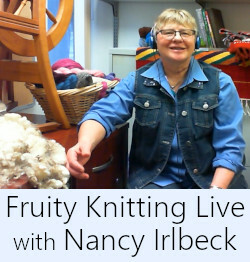 You would be very welcome to drop by for a tea or coffee and some good German cake, a chat with Ulrike and her customers, and a browse of her wools and patterns. Thanks so much for your podcast! 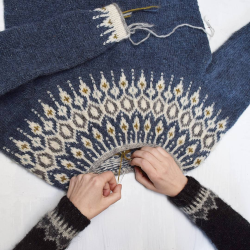 I’ve been motivated to revisit some of my WIP’s, especially an Alice Starmore Stornoway sweater. You have both been a delight to listen to as I work on keeping my resolution to finish 2 projects before beginning one new one. The magpie feature was entertaining as I watched the magpies who have returned to Montana for the summer season. Hi Ruth. 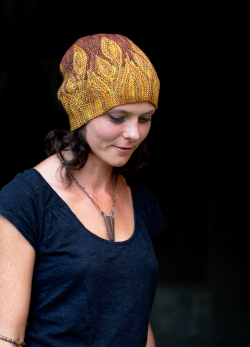 We’ve just released Episode 4, and Andrea gives a few details on her Alice Starmore Fair Isle experiences. I’m glad you enjoyed the magpies, slightly off-topic, but we love them! I recently discovered your podcasts and I’m now catching up on all of them. In episode 3 there was a sweater just behind you, Andrea, that I like a lot. Do you know what the name of it is? Thank you. Joanne, Calgary, Canada. Well done, Sabine! Thanks for watching and for your feedback. A + A.
I recently discovered your podcasts thanks to Mason Dixon Knitting. I really enjoy them and have started to watch them all from Episode 1. I have a question about this episode… what pattern did Ulrike use for that lovely red vest she is wearing? If you could find out I’d be grateful.